As a general rule, choosing the functional over the merely cosmetic and choosing neutral over "unusual" will serve you well when selling your home in Westchester County NY. Neutral paint such as gray, white, and beige for instance, do not distract and may allow buyers to visualize their own furnishings in a room. Unusual colors can actually be detrimental if the buyers can only think of the time, cost and effort it would take to repaint a purple or neon green wall. Taste and trends can also affect value. Remember that orange shag carpet of years gone by? Things like that can date your home - and not in a good way. Think "timeless" when updating your home, and save those unusual or bright colors you love, to use in upholstery, pillows and accessories for the home. 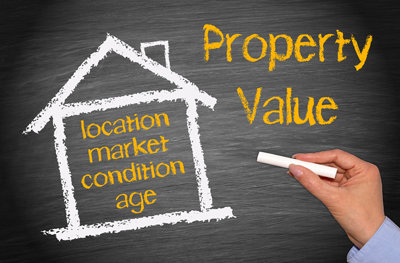 So - which updates will add the most value to your home? Updates that increase usable space (an extra bathroom, enlarging the kitchen, creating a master bedroom suite, more closet space, converting unused space to a home office or a pantry). tidy up your flower bed, or if you don't have one, consider planting some flowers or shrubbery or at least put out a nice pot of flowers or greenery by your front door. The key point to remember is that you want your home to be as appealing as possible inside and out, to as many buyers as you can. So go ahead and paint that neon green wall IF you are willing to prime and paint it a more neutral color when it comes time to sell. If you would like more great ideas about how best to prepare your home for selling, call the experts at Hire Realty LLC, at 914-598-2386 .